Anna Karina in Jacques Rivette’s “La Religieuse.” (1966) Photo courtesy of Rialto Pictures/Studio Canal. 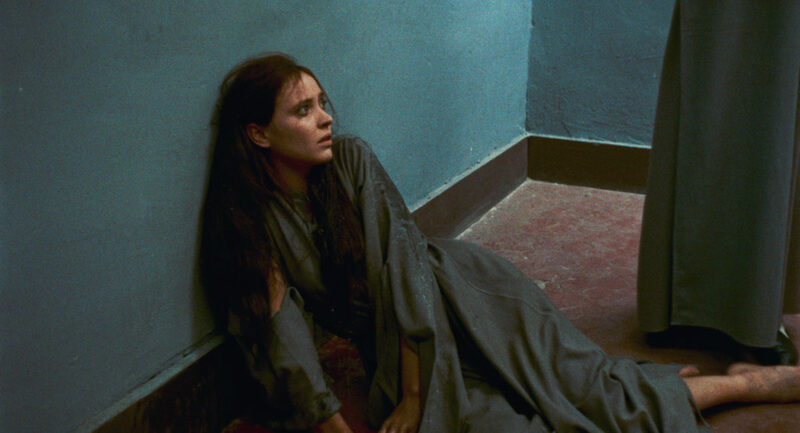 In a new 4K restoration, Jacques Rivette’s highly controversial film, La Religieuse (The Nun), is given a long-awaited revival. Finished in 1966, this film generated controversy even before completion, and its release in France was delayed further when the Ministry of Information refused to license it for distribution, despite a board of censors twice declaring the film fit for release. It was not until 1967, when a politically astute André Malraux, the Minister of Culture, lifted the ban so the film could be screened at the Cannes Film Festival. It later premiered at the New York Film festival in 1968, not opening in New York until 1971. Adapted by Jean Gruault and Rivette from the novel by Denis Diderot written in 1780, although not released until 1796 after his death. The Nun was first intended more as a practical joke in the form of a series of letters to Diderot’s good friend the Marquis de Croismare who had recently taken, and lost, the case of a young woman, Marguerite Delamarre, committed to a convent against her will. Diderot, pretending to be a novitiate named Suzanne Simonen, much like the real-life Marguerite, writes to the Marquis asking his help to be released from the vows she took unwillingly. The Marquis took the ruse in good spirits, but then, Diderot became passionate about similar cases and converted the letters into a book illustrating the wholesale degradation of women forced against their wills to enter convents, as well as the evils stimulated by the greed of a colluding church and state. The Nun, both the novel and the film, use the story of the unfortunate Suzanne to illustrate the hand-in-glove corruption of the church and government when dealing with church property and the exercise of power and money, the hierarchical nature of society, as well as the abuses suffered by those forced into a cloistered life – as played out in 18th Century France. Suzanne Simonen is a beautiful young woman who is informed by her mother that they do not have enough money to provide a proper dowry for her to marry so, instead, they will pay a limited one to a convent so that she may become a nun. Suzanne is aghast and would prefer a life of maidenhood in society to a life inside a convent. She rebels and refuses to take the vows and is locked up. Her mother finally confesses that she is atoning for her own sin of adultery by offering Suzanne, the product of her previous illicit affair, to God. Reluctantly Suzanne agrees to endure the life of a nun. Still barely consolable, Suzanne is taken under the wing of the Mother Superior, Madame de Moni, who nurtures her until her own death. Suzanne, miserable, then falls under the direction of the new, sadistic Mother Superior, Sister Sainte Christine, who rides her mercilessly to the point where Suzanne feels her only alternative is to try to be relieved of her vows. Upon discovering that Suzanne has reached the outside world with her complaints, Sister Sainte Christine unveils a program of torture, shunning, and starvation that brings Suzanne to the point of death. If not for the hope that her attorney, Monsieur Manouri, gives her on the possibility of winning her case in court, she wouldn’t have had the strength to live through her circumstances. Unfortunately, Monsieur Manouri, like the real-life Marquis, loses the legal case. The church cannot let go of the dowry nor set a precedent; Suzanne’s sisters fight against her release because she would then be entitled to part of the family fortune; and the government, influenced by the money of the church and aristocracy, rules against her. What Manouri is able to do, however, is transfer her to a better convent. But even here, she is challenged. The convent is beautiful with lots of outdoor spaces, fresh fruit and luxurious accommodations. Everyone is frolicsome and happy with a Mother Superior, Madame de Chelles, who seems to care for her charges. Beautiful Suzanne immediately attracts the attention of the Mother, an attention that she eventually comes to realize is carnal and earns her the jealousy and enmity of Madame de Chelle’s previous favorite. Troubled and confused, Suzanne seeks the advice of her confessor, a young monk who seems truly to understand her and warns her of the moral ambiguities that challenge her. Seemingly her soulmate, he has similarly been forced into the priesthood because he lacked the money and vocation to function outside society. He longs to leave the priesthood; his offer of escape to her will also be one for him. But each step Suzanne has taken and will take in the future are not demons exorcized, but rather new demons released from a limitless Pandora’s Box. Rivette, who had been a critic at Cahiers du Cinema alongside Claude Chabrol, Jean-Luc Godart, and François Truffaut, was one of the founders of the 60’s movement of “New Wave” cinema. La Religieuse was his second film and he battled censorship to get it released; clearly a case of the intersection of fiction and fact directly from Diderot’s novel. With La Religieuse Rivette has juxtaposed beauty, the beauty of the contemporary-looking young nuns, with the austerity of the surroundings and relentless nothingness of their existence. The slow, sometimes excruciatingly slow pace he uses only heightens the deadliness and suffocation of the lives these women are led to live. The monotonicity of the daily life, whether in the first austere convent or in the second colorful libidinous home, is a constant whether it is prayer, singing and privation or prayer, singing, and romping frivolously. Every day, the same. The food is bad or the food is good but there is no good purpose or direction to the life. As Suzanne, Anna Karina, an iconic actress of the New Wave, is exquisite in both her beauty and her suffering. Her longing for independence and horror at her fate are read in her eyes and her posture. This was a true star turn and she has made her character an indelible fixture in cinema. Micheline Presle, a movie star in the 40s and 50s, makes a deep impression as the sympathetic Madame de Moni that lasts the entire film as you wonder whether Suzanne would have been able to tolerate her life had Madame lived. Francine Bergé as the sadistic Sister Sainte Catherine is perhaps a bit too relentlessly evil, lacking the vulnerability to show that she, too, is trapped. But Liselotte Pulver as the libidinous Madame de Chelles is luminous, illustrating the still-unsatisfied desires that being locked in a convent for life entails. Pulver truly inhabits the contradictions of this seemingly simple but realistically complex character. Filmed in the sixties, based on an 18th century novel, La Religieuse is fittingly modern story exploring corruption, greed, and desire. But make no mistake, this is not a condemnation of religion or belief. Rivette is equally adept at showing the depth of belief of his characters and their reliance on God as he is in showing the corruption that had put a stain on such beatific belief structures. Opening Friday, January 18th at the Laemmle Royal Theatre in West LA.